Integral to any film due for release is a marketing campaign. Not only can this be a key aspect to the film’s overall success and revenue, but it is also an important part of making people aware of your film. If no one knows what your film is about or when it is released – how will they know to go and see it? Like any other product that relies on earning money, a film needs to be advertised. In modern film, the audience is more than familiar with a number of marketing practices. For example, we know to expect a teaser trailer and promotional images and posters. But what about those films that went a step further? There are some films that employed slightly different marketing campaigns or went bigger with their marketing campaigns than audiences have ever seen before. The result being some incredibly well marketed films, that went on to be overwhelmingly successful. Although the marketing strategy for The Blair Witch Project may seem pretty basic by today’s standards, it is still thought by many to be one of the best marketing campaigns of all time. It is the film also thought to be the first that was widely marketed primarily on the internet, paving the way for a whole new generation of film marketing. In 1994, three student filmmakers went missing in the Black Hills near Burkitsville, Maryland whilst filming a documentary about a local legend known as the Blair Witch. A year later, their footage is discovered. The best thing about The Blair Witch Project’s marketing campaign is that the whole premise behind the marketing campaign was fooling the public into believing that the film was actually real and that these students had really disappeared. And it worked – a good proportion of people believed that the events in the film had actually occurred. A website was set up with faux police reports, missing posters and newsreel style interviews on it. Missing posters were handed out at screenings as well as adverts asking audience members to come forward with any information that they might have about the missing students. The IMDb page for the film also listed the actors as ‘missing, presumed dead’ and the actors were absent from all of the press proceedings in the lead up to the film – further playing into tricking the audience that the film was based on real events. All these above tactics made The Blair Witch Project the first film to go viral, even though many of the technologies that would facilitate going viral did not exist at the time. Though it was pretty certain that The Dark Knight would be a success, there were still some concerns about whether the film would hit its mark. Firstly, it was a wildly different animal to Batman Begins, which had been a solid origin film. But this film would delve more deeply into the Batman lore and universe. And secondly, The Dark Knight would introduce Christopher Nolan’s take on The Joker, an incredibly important character. Early signs were worrying when Heath Ledger’s casting was announced and character pictures leaked, with audiences responding negatively and rallying against the film. The viral marketing continued, when another website was launched at San Diego Comic Con called whysoserious.com. This website sent fans on a first scavenger hunt which would unlock a teaser trailer and a new photo of the Joker. Next, another scavenger hunt was launched where fans uncovered clues at multiple locations. The clues led to another picture of the Joker, an audio clip and the discovery of more websites. Off line, the opening sequence and several other scenes of the film were shown with selected IMAX screenings of I Am Legend, and a theatrical teaser was shown with non-IMAX showings. The same sequence of scenes was also released with the Blu-ray copy of Batman Begins. And an animated direct to DVD film set between the events of Batman Begins and The Dark Knight was released. After Heath Ledger passed away, the marketing of the various websites changed their focus, incorporating a black memorial ribbon in the photo collages. 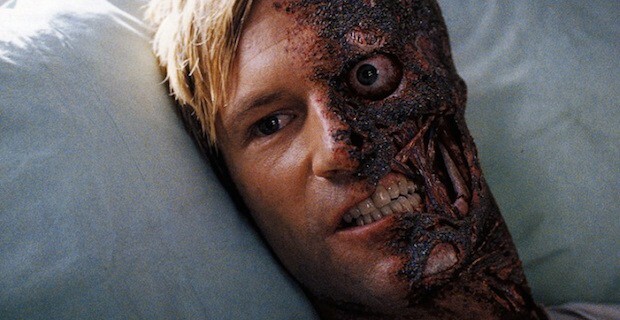 The Harvey Dent campaign became the focal point with campaign buses named ‘dentmobiles’ touring various cities. These various marketing tactics paid off big time for the film. Not only did The Dark Knight earn over $1 billion at the box office, the film has also earnt itself a legacy for being not only one of the best superhero films of all time, but one of the best films of all time. 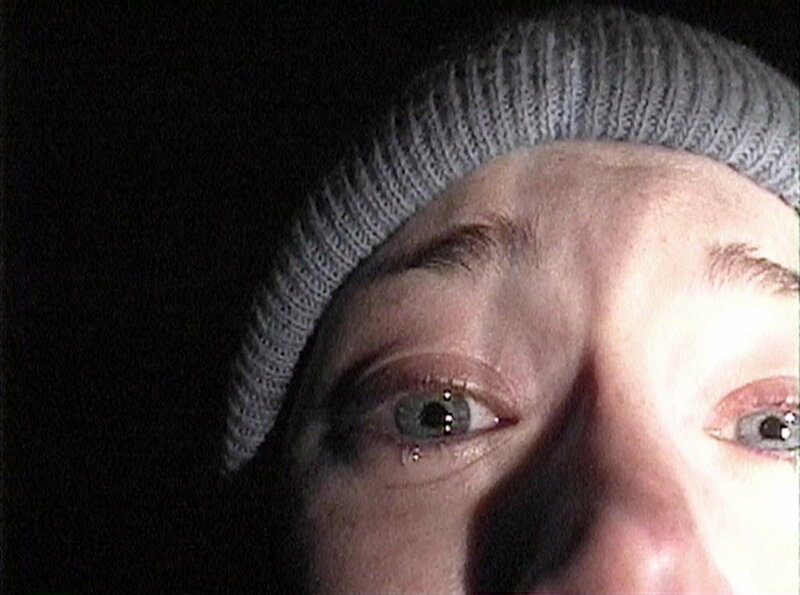 After the success of films such as The Blair Witch Project, the found footage genre was experiencing a boom in popularity. Paranormal Activity was another film that utilised this genre. The film was originally screened at Screamfest Horror Film Festival, where it was eventually picked up by Dreamworks. Dreamworks original plan with the low budget film was to remake it with a bigger budget and different cast. However, they did agree to a test screening with the original film first. During the screening, audience members began walking out causing the studio to believe that the film had bombed, and that people hated it. It turned out that people were walking out because they were so scared. Not only did this fact mean that the original film was never remade, it also lay the groundwork for the viral marketing campaign. Instead of focusing on trailers and clips from the actual film, the trailer featured a hidden camera which filmed the audience’s reactions. And what better to sell a film than it being endorsed by the actual audience? A campaign was also launched through eventful.com, a site where people eager to see the film could ‘demand’ it to be released in a theatre near them. Soon a competitive edge emerged as audiences fought to see the film that the adverts showed with people freaking out. This marketing campaign paid off big time for Paranormal Activity, which went on to become the most successful film of all time based against its initial investment. Films can often go overboard with their marketing, so much so that you feel as though you know every aspect of the film before it is even released. Cloverfield did almost the opposite, which was one of the reasons that the marketing campaign worked so well. 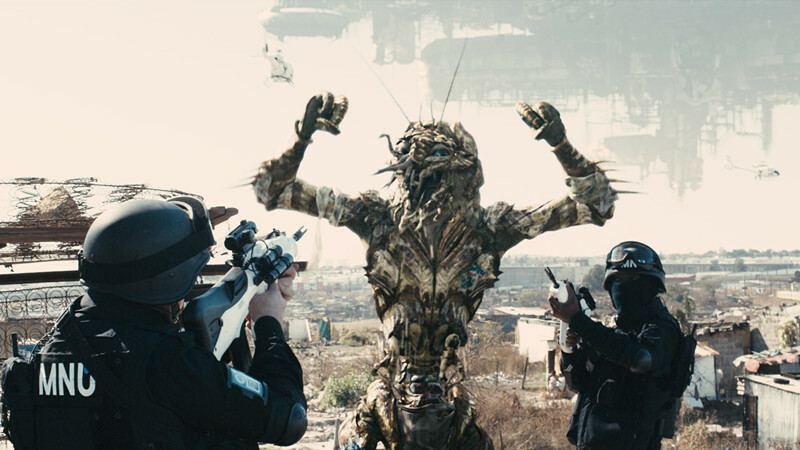 The viral marketing campaign started with a teaser trailer released before screenings of Transformers. These teasers were shown without a title attached to the film. The title was then revealed in a second teaser trailer released with screenings of Beowulf. With these limited details and titbits given to the audience, speculation was rife as to what the film was and what it was really about. Online forums and websites dedicated to uncovering information about the film sprang up all over the internet, and the film became a must see. Viral marketing was also used in the lead up to the release of 10 Cloverfield Lane. The original Cloverfield website was updated and elements of an alternate reality game were embedded into the viral campaigns. Backstory information about the character Howard Stambler and his daughter were also released. Again. this built up intrigue about the film and sent audiences in search of more clues as to the film’s storyline. The latest film in the franchise, The Cloverfield Paradox, employed a completely different marketing tactic. Though a third Cloverfield film had been announced, the film’s release had been delayed several times. Thus, when a surprise trailer dropped during Superbowl LII, it came as a shock to everyone. Not only that, but the film was available to watch straight away. This kind of marketing tactic had never been used before but was highly praised. Now audiences no doubt eagerly await the Cloverfield franchise’s next film and their next marketing campaign. When Deadpool finally got the greenlight, it was with a much lower budget than most other superhero films. This lower budget meant that the marketing team were forced to get creative. Along with Ryan Reynolds, the marketing team set out to take full advantage of the internet and social media in order to ensure that the film got the same coverage as other superhero films. Reynolds kept one of his Deadpool costumes and appeared in it regularly throughout the campaign. He did an early interview which showed Deadpool killing presenter Mario Lopez showing fans that Deadpool was going to be true to the comic and would be R rated. Form that moment on the Deadpool marketing train was unstoppable. Next came a series of cheeky posters and promotional images, some of which took advantage of celebrations such as Thanksgiving and Mother’s Day, always playing in to the naughty character of Deadpool. 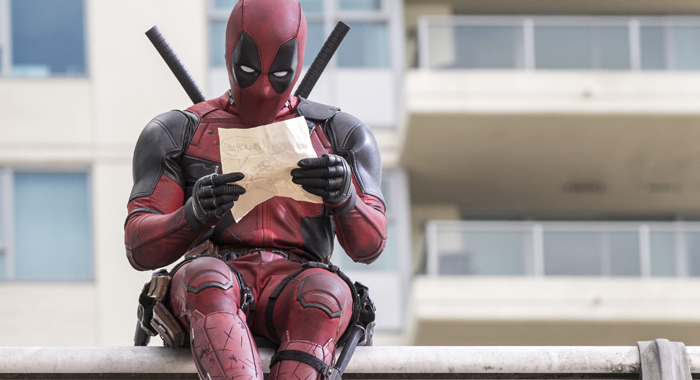 And of course, there were the twelve days of Deadpool, released over Christmas which featured things such as a ‘leaked’ script and Deadpool’s Christmas wish list. But the part of the Deadpool marketing campaign that may be remembered most may be the series of billboards that were put up. There were of course the funny ones and the rude ones (remember the poop emoji?! ), but the best ones were the ones that marketed Deadpool as a romantic comedy. They were actually able to convince some audiences that the film was a film best enjoyed on Valentine’s Day. By the time the trailer dropped, fans couldn’t wait to see it…but cleverly the trailer turned out to be a trailer for the trailer. After that the actual trailer dropped to great excitement and anticipation from fans who loved it. Overall, the marketing campaign had worked amazingly on building excitement for the film and increasing the fanbase. Deadpool went on to make over $700 million at the box office and spawn a sequel.